Europe was on both the giving and receiving ends of shock results as the first round of the DANISA Denmark Open 2018 – Presented by VICTOR continued today. Wakana Nagahara, in straight games at Odense Sports Park. The Dutch pair advanced to tomorrow’s second round, thanks to a 21-19 21-18 victory over the No.6 seeds; showing contrasting attributes in the two games. In the first, they dug deep, fighting back from 10-17 down. In the second, Piek and Seinen proved great front-runners, seizing the lead at 4-4 and never looking back, though dropping six points straight as the Japanese climbed from 12-20 to 18-20 and threatened a comeback. There was also bitter disappointment for No.6 Men’s Doubles seeds Mads Conrad-Petersen/Mads Pieler Kolding – and by extension their fans – as they crashed out of their home leg of the HSBC BWF World Tour. The imposing Danes perished despite grabbing the first game versus Berry Angriawan and Hardianto Hardianto. The Indonesians regrouped to stun their rivals, 13-21 21-19 21-15, in 68 minutes. There was more good news for Indonesian supporters in the category as veteran duo, Mohammad Ahsan/Hendra Setiawan, ousted Lee Jhe-Huei/Lee Yang of Chinese Taipei (21-18 19-21 21-13) while top seeds Marcus Fernaldi Gideon/Kevin Sanjaya Sukamuljo battled past China’s He Jiting/Tan Qiang (21-19 22-20). For Denmark, the evergreen Mathias Boe/Carsten Mogensen overcame Jelle Maas/Robin Tabeling of Netherlands (21-19 21-15). In Men’s Singles, Kanta Tsuneyama beat the man who stood between him and a World Championship medal. The lively Japanese squeezed past Malaysia’s Liew Daren is another tight encounter which saw Liew save two match points before succumbing, 21-15 12-21 22-20. Meanwhile, all eyes were on Viktor Axelsen as the No.1 seed took to the court for his first match in his hometown – and he did not disappoint. The big Dane found his range against another Japanese, Kazumasa Sakai. Facing a 13-18 deficit in the second game, Axelsen raised his level to win 21-12 21-19. His younger team-mate, Anders Antonsen, followed his example, prevailed over Mark Caljouw of Netherlands (21-18 21-18). However, Rasmus Gemke was not to lucky on home turf, falling to Japan’s Kenta Nishimoto, 19-21 21-16 21-17. 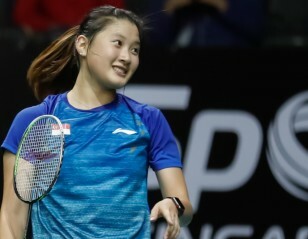 A day after watching their male peers, Shi Yuqi and Chen Long, bow out in the opening round, China’s Women’s Singles players vowed not to do likewise. The trio of He Bingjiao, Chen Yufei and Cai Yanyan progressed to the second round. Only rising star, Gao Fangjie, failed to advance, losing to Busanan Ongbamrungphan of Thailand (21-17 21-16). 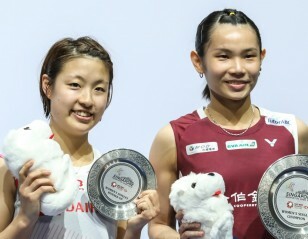 World No.1 Tai Tzu Ying (Chinese Taipei) and Michelle Li (Canada) won their matches too. Mixed Doubles proved happy hunting for Germany as Mark Lamsfuss/Isabel Herttrich and Marvin Emil Seidel/Linda Efler won their first-round encounters. 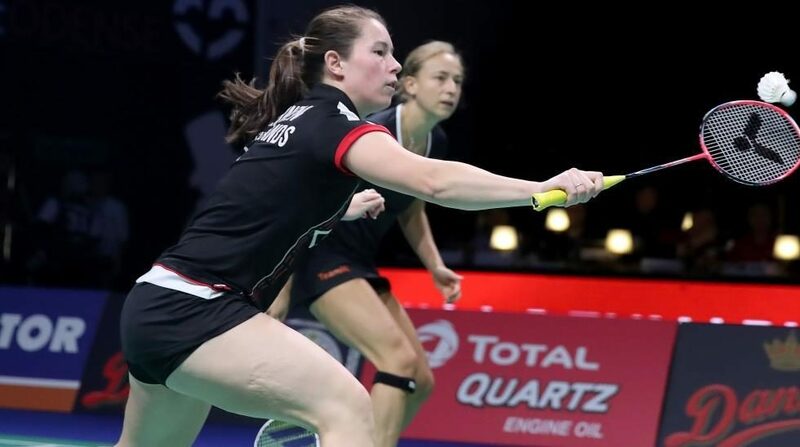 The latter beat Ireland’s Sam and Chloe Magee (21-12 21-15) while Lamsfuss/Herttrich overcame Lee Yang/Hsu Ya Ching of Chinese Taipei (21-13 21-17). Lamsfuss and Seidel are through to the second round of Men’s Doubles also.